Cars For Hope is a movement of passionate automotive enthusiasts who are dedicated to driving hope towards those suffering from mental illness and aim to raise awareness of the issues surrounding mental health. You can find out more about our vision here. Via our website, social media network and at automotive-based events, Cars For Hope aims to raise awareness of the importance of mental health and reduce the stigma surrounding mental illness including depression, anxiety and self-injury. We use our stickers as a means of spreading the word about our cause and encourage supporters to wear one proudly on their vehicles to let others know that they care. We created our #DRIVINGFORHOPE campaign to allow supporters to showcase their Cars For Hope sticker on their vehicle and Stories campaign to allow those who have experienced mental illness directly or indirectly to show current sufferers that they are not alone and that there is hope. We also provide information to inform and educate the community about mental health. As well as this are resources to seek support for those currently facing a mental illness. These can be found on our Facts and Find Help pages. Are you a charity organisation? 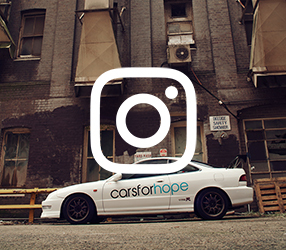 Cars For Hope Incorporated is registered as a charity with the Australian Charities and Not-for-profits Commission ABN 65 517 418 375. Although our members or contributors may follow a particular religious faith, Cars For Hope is not a religious organisation nor are we affiliated with any religious organisations. What happens to the money raised from events and the sale of stickers? All of the funds from every purchase go straight into the charity organisation, helping us to continue doing what we do, including giving hope, running campaigns, connecting people to the help they deserve and investing directly into mental health research and treatment. All of Cars For Hope’s members and contributors are volunteers. We are always seeking contributors to our website. If you or someone you know has a story of inspiration or has experienced the challenges and triumphs associated with mental illness, we would love to hear about it. Please visit the Stories page for more information on our Stories campaign. Alternatively, contact us if you have a more in-depth experience of mental illness you would like to share. We are also looking for volunteers who are willing to help progress Cars For Hope as an organisation. If you would like to help by manning a stand at an event, or simply have a skill to offer please contact us. Cars For Hope aims to raise awareness of mental illness in the automotive community. You can show your support and help to reduce the stigma surrounding mental illness by purchasing a sticker and wearing it on your vehicle. Read more about what the sticker means to us here. If you have an upcoming event and would like Cars For Hope to be involved, please contact us for any questions or queries. Do you offer any treatment services? Cars For Hope does not offer direct support to people wishing to seek help as we are not trained health professionals. 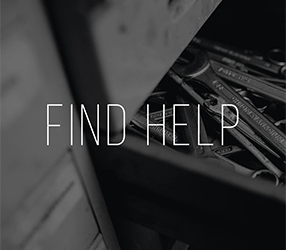 We exist as a bridge for those who are wishing to seek help by providing information and resources which can be found on our Find Help page. I think someone I know is suffering from mental illness. What should I do? If you think a family member or close friend has depression or anxiety, first try talking to them about it in a supportive manner. You could also suggest that they consult their general practitioner or mental health professional, or even offer to take them to see one. Sometimes a person suffering from a mood disorder may not want to seek help. In these circumstances, explain that you are concerned about them and why, and perhaps provide them with some information – such as a pamphlet from a mental health organisation or other resources from our Find Help page – that you think might be relevant. You could also offer to assist them to seek professional help. This might take the form of finding someone with whom the individual feels comfortable talking, making an appointment for them on their behalf, taking them to the appointment on the day, and, if appropriate, accompanying them during the assessment interview. Remember, if you are faced with a serious emergency situation, contact your local emergency services immediately. Can I make my own merchandise with the Cars For Hope logo and use all the proceeds to benefit the cause? The Cars For Hope name, logos, and slogans cannot be used outside of official Cars For Hope purposes, as they are trademarked by the organisation. If you’d like to donate proceeds from the sale of your own personal designs and merchandise, you are welcome to do so. Where can I purchase a sticker? Stickers and Merchandise are available from the Cars For Hope online store here. We sure do! 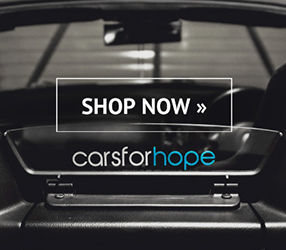 Visit the official Cars For Hope online store here.